Best New Baby Product 2018! We’re absolutely thrilled that our gentle plant-based Happy Scalp Cream was voted Best New Baby Product in the 2018 Beauty Shortlist Awards! Created to give parents a safe and natural alternative to many chemical-laden baby scalp care products, this innovative rescue cream for unhappy heads is made from only green-rated ingredients on EWG’s Skin Deep Cosmetics Database. This is an encyclopaedia of ingredients that operates a traffic light system, enabling parents to check the safety of ingredients in their baby’s toiletries. 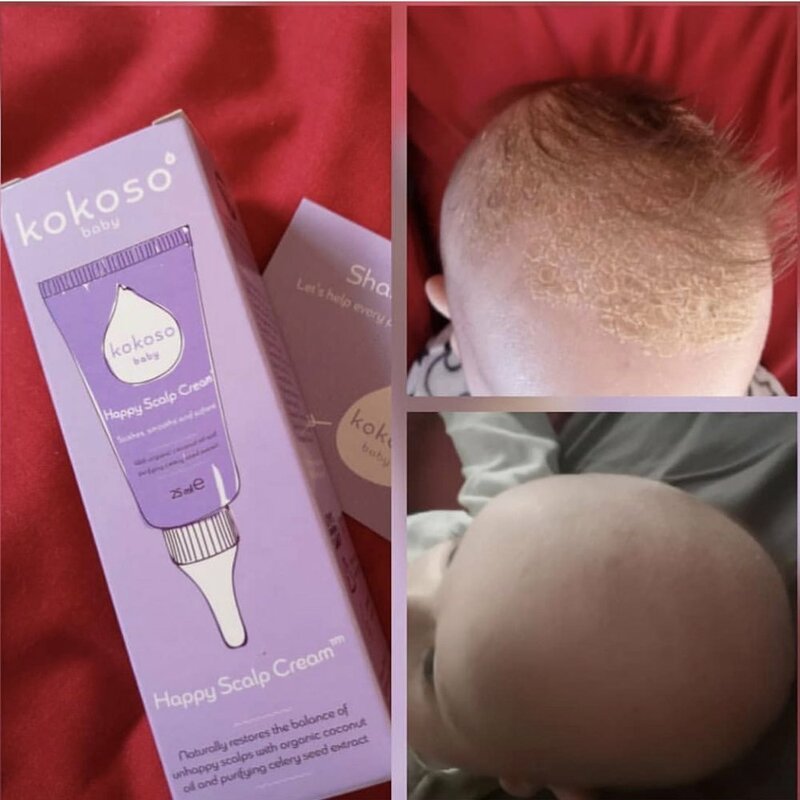 And it seems that as well as winning awards, Happy Scalp has also been winning the hearts and minds of parents - with many testimonials being shared under the hashtag #happyscalpstory on Instagram. One such story comes from @_mamma_cooks who posted these amazing before and after photos to share with other mums and dads. If you’d like to learn more about Happy Scalp, visit our shop page to read about the amazing natural ingredients and how the cream helps to restore happier, healthier-looking scalps!